Hightex® Dynamic bending machine can process metal sheet up to a maximum of 10 feet long. We are able to bend metal sheet from minimum thickness of 0.5mm to 6.0mm. Hightex® Dynamic shearing machine can cut metal sheet up to maximum length of 10 feet. 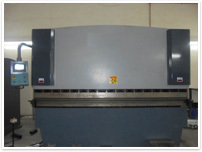 We are able to cut metal sheet from minimum thickness of 0.5mm to 6.0mm. Hightex® Dynamic offer MIG welding and spot welding services. Our welding services is applicable for metal items, eg, metal pipes, metal round bars, metal angle, metal hollow bars and others, minimum thickness 0.8mm to maximum of 6.0mm. This facility is particularly relevant for light and medium fabrications of mild steel items. Transport of goods and material to factory can be provided with extra charges. Standard metal sheets & metal items can be purchase from Hightex® Dynamic. 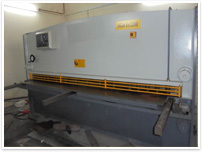 Customer can bring own material for bending, cutting and welding services, whereby only labour charge will be imposed.